Most of the Victoria's Secret Angels' Instagram feeds are flooded with pink satin robes, microscopic bikinis and logo bras. These accounts aren't where I'd usually go for style inspiration, but this summer, I spotted some chic looks worn by the models. 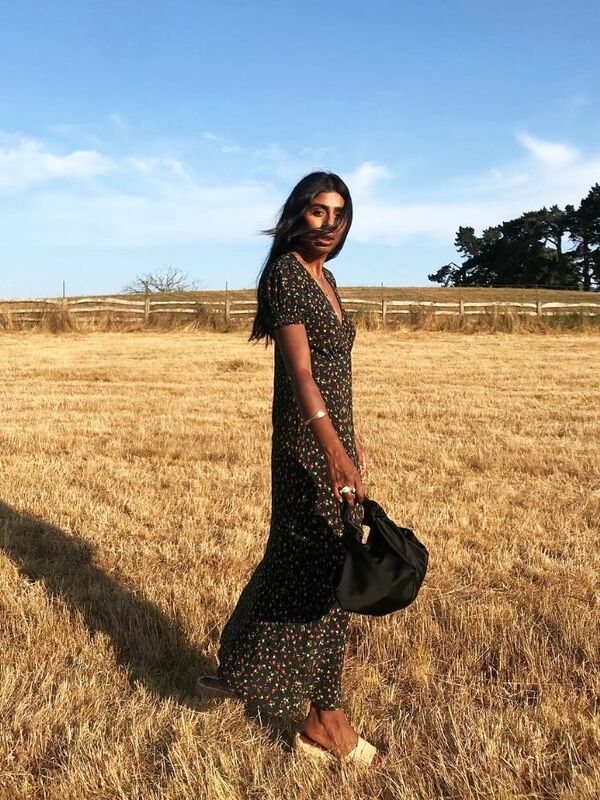 Angels like Elsa Hosk, Romee Strijd, Martha Hunt and more have been wearing the best array of summer dresses—ranging from £123 minidresses to £881 beauties. If you're on the lookout for summer dresses (who isn't? ), see the five options that are perfect for the rest of the season. Elsa Hosk's fuchsia slip dress looks amazing in the city with a pair of white trainers and cat-eye sunglasses. Romee Strijd's lemon-printed Majorelle minidress is perfect for the beach with her Cult Gaia bag and layered necklaces. Martha Hunt has a collection of Instagram It dresses. Here she wears a mint-green Rebecca de Ravenel midi dress with ties at the front. Jasmine Tookes's rainbow-striped dress by LPA is one of the happiest minis we've seen this summer. A number of the VS angels own dresses in this cherry print. We love how Sara Sampaio wears her mini with a matching neck scarf and white sunglasses.